Read 1 Kings 9-11 along with Ecclesiastes 2. Even though Solomon discusses pleasure, wisdom and toil in this chapter, pleasure is the only word that the Spirit laid on my heart while studying. I arrived at a mindset almost eight years ago that pleasure for most things and the presence of or lack thereof of people in general were too temporary for me. Yes, things and people come and go in our lives. Personally, I try not to attach myself to temporary things or people anymore…my boots are the only exception. When you become closer with the Spirit of God, you begin to SEE up firsthand what vanity is. 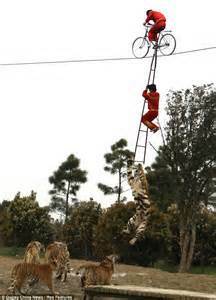 Things and people can have you dangling on a sky high tight rope as though you were born a professional tight rope circus performer with “lions, tigers, and bears, Oh My!” waiting below to tear you apart. Our heart and eyes don’t work too well together sometimes. Solomon states in verses 10-11- “And whatsoever mine eyes desired I kept not from them, I withheld not my heart from any joy; for my heart rejoiced in all my labour: and this was my portion of all my labour.” However, “Then I looked on all the works that my hands had wrought, and on the labour that I had laboured to do: and, behold, all was vanity and vexation of spirit, and there was no profit under the sun. I did not realize that the word PLEA + SURE (PLEASURE) has such an array of meanings. (see below) I don’t think we constantly think about its meaning . I do think that it is thought about according to whatever is being done or seen at the moment that gives us pleasure. Sometimes we try to think wisely of some way(s) to make it last. But get this…(TYHS) Jeremiah 9:23-24: Thus saith the LORD, Let not the wise man glory in his wisdom, neither let the mighty man glory in his might, let not the rich man glory in his riches: but let him that glorieth glory in this, that he understandeth and knoweth me, that I am the LORD which exercise loving-kindness, judgment, and righteousness, in the earth: for in these things I delight, saith the LORD. Pleasure- gladness, delight, delectation, sensual gratification, frivolous amusement, kicks, euphoria, turn-on, contentment, joie de vivre. I’ve discovered that when you are in Christ Jesus and you love the Lord God with all of your heart and mind, pleasure comes regardless. Regardless of us being ill, in pain, having disabilities, faults, regrets, and other debilitating issues, there is pleasure to be found permanently in God. If you study the acts of Solomon closely with the Holy Spirit as your guide, you may come to the conclusion that I came too. Solomon was a complicated man lacking something, somewhere. He was definitely a wise administrator. As wise as he was during the affairs of others and of building the temple, he had pleasure principle issues. (TYHS) He had to be complex in nature, having almost 700 wives and 300 concubines and setting up places of worship to heathen gods for his women (1 Kings 11:1-4). Notice in Ecclesiastes 2:1-9 is where he places focus on the word “I” did. To put it bluntly, this man who asked God for wisdom and got it, was unable to practice what he preached due to the his delights. Listen beloved, not only was Solomon unable to do so, we who live in this world are performing in the same circus. There has been something or someone that came into our lives that provided us with temporary pleasures leaving us unable to practice what we preach when it comes to us living for God. Solomon’s father David tells us in Psalm 37:4 to delight ourselves in the Lord to receive the desires of our heart. Do you think he taught this to Solomon? I encourage all to find the Pleasure Principle that is in the Lord, and hold on tight. I also encourage you to listen to your grandchildren. I leave you with these words from Isaiah 58:9-14. Then shalt thou call, and the LORD shall answer; thou shalt cry, and he shall say, Here I am. If thou take away from the midst of thee the yoke, the putting forth of the finger, and speaking vanity; And if thou draw out thy soul to the hungry, and satisfy the afflicted soul; then shall thy light rise in obscurity, and thy darkness be as the noonday; And the LORD shall guide thee continually, and satisfy thy soul in drought, and make fat thy bones: and thou shalt be like a watered garden, and like a spring of water, whose waters fail not. And they that shall be of thee shall build the old waste places: thou shalt raise up the foundations of many generations; and thou shalt be called, The repairer of the breach, The restorer of paths to dwell in. If thou turn away thy foot from the sabbath, from doing thy pleasure on my holy day; and call the sabbath a delight, the holy of the LORD, honourable; and shalt honour him, not doing thine own ways, nor finding thine own pleasure, nor speaking thine own words: Then shalt thou delight thyself in the LORD; and I will cause thee to ride upon the high places of the earth, and feed thee with the heritage of Jacob thy father: for the mouth of the LORD hath spoken it.